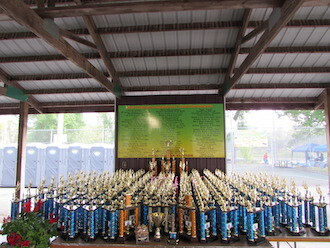 124 Trophies given in 39 classes! Dash Plaques to first 300 Registered Vehicles to be judged only. Additional 50 plaques available for purchase day of the show. AA - All Corvettes Modified 1953 - Present All registration fees for corvette classes are donated to the cancer fund. JJ - Judges Cars, participant judging, vehicles located in judge car corral. 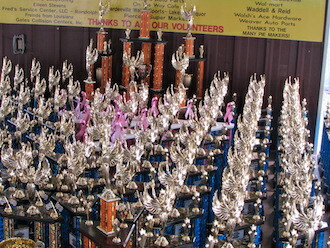 Winner of Trophies must be present to receive their trophy immediately, or have a designated representative to collect it at the time of distribution, or forfeit the trophy. In order to get everyone in and parked quickly, there will be no reserved parking. If your club wants to park together, you must arrive together. 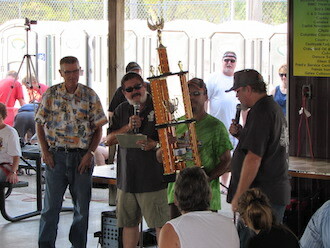 All vehicles to be judged must be registered by 12:00 noon. Guidelines for Survivors: Eligibility for Survivors: Survivors must be classed in Exterior, Interior and Engine with 100% in 3 of the 3 classes. PCCTS, INC. is not responsible for any injuries, damages or accidents incurred to attendees or vehicles while at the show.